Even with the low interest mortgage rates of today, paying down your mortgage is the safest and highest rate of return on your money. Now, I know some of you will say that the stock market gives you an average return of 10% but I'll argue, "Not on my planet." And let's not talk about leveraging other peoples money to make a fortune. I'm here to just talk common sense numbers. This is approximately a 4% growth/savings guaranteed! I can't think of a better way to apply Ben Franklin's adage to paying down your mortgage. Seriously. 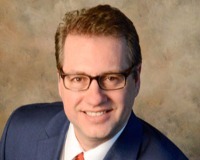 You could save in the tens of thousands of dollars over the life of the loan and you will pay it off sooner, giving you a huge gain in discretionary income when your home is free and clear. Unfortunately, the most critical time to put extra to principal is during the first half of the loan. I could explain it with advanced math, but my mother used to explain it in a more simple, visual way that stuck in my memory for decades. 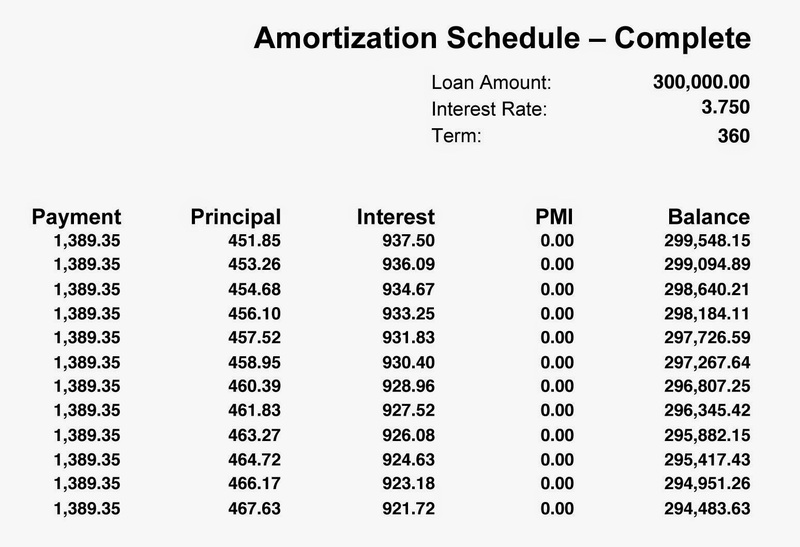 Take a look at the first year of a typical amortization schedule (above). Of your first $1389 payment, only $451 went to pay down your principal and $937 went to pay this month's interest. Ugh! At this rate it will take FOREVER to pay off this loan (like 30 years forever). But, if you could manage to pay an extra $453 at the same time you paid that first payment, you in essence just paid the second month as well and the bank will recalculate your next payment's split based on the balance of the loan, which is now the numbers on month 3 (line 3). So in essence you can take a pen and scratch off line two and realize you just saved $936 and your loan will now get paid off one month earlier. Sure, that only translates to $2.60 per month but that is still a better rate of return than your typical savings account. Of course, this savings is most noticeable during the first part of the life of the loan. Look at the last year of the same amortization schedule. At that point, even paying an extra $1338 will only save you $51. So try paying a little over $100 extra per month. That ends up being like one extra payment per year that goes directly to principle. That will shave off 4 to 5 years and save you thousands of dollars.